At the risk of repeating myself, Italy delivers more variety in white wine than anyone else. And all these wines come without the adornment of oak barrels. They are natural expressions of soil, climate and man. 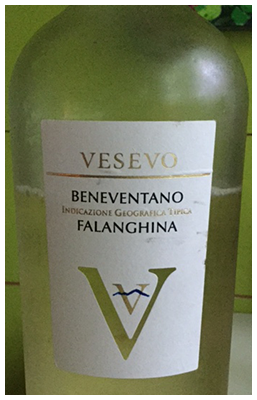 This Falanghina, from south of Naples, has a nervy, mineral quality that’s super refreshing, and great for kick-starting the taste buds. Think cocktail wine.